ROME, Italy/African Press Organization (APO)/ –Countries need to shift to more sustainable food systems, stepping up action to mitigate and adapt to the effects of climate change, FAO Director-General José Graziano da Silva told participants at the seventh Forum on Agriculture in the Kingdom of Morocco. “Climate change has the potential to reconfigure the planet’s food production scenario,” Graziano da Silva said, adding that it reintroduced “an element of uncertainty” after decades in which hunger was caused more by a lack of access to the means to produce or purchase food, rather than insufficient supplies globally. “The world’s poorest are particularly vulnerable,” he said. “Not only do they have fewer means to react, but they also tend to live in already marginal production areas,” where the impact of climate change in agricultural production is felt to an even greater extent. He pointed to the recent findings of the Intergovernmental Panel on Climate Change, which reflected these concerns and called for urgent action. The Director-General also spoke about family farming as a tool for rural development and stability, pointing out that the United Nations had declared 2014 the International Year of Family Farming. The high-level event included Alpha Conde, President of the Republic of Guinea; Ibrahim Keita, President of Mali; Aziz Akhannouch, Minister for Agriculture and Marine Fisheries of Morocco; and, agriculture ministers from a dozen other countries. In his address, Graziano da Silva pointed out that climate change was a challenge that both large, modernized family farms and small-scale family farmers would need to face. Climate change is an issue that cuts across a broad range of development priorities, including ending hunger, supporting sustainable production, reducing rural poverty, improving food markets and building resilience, Graziano da Silva said. He noted that some 500 million family farms account for about 80 percent of the world’s holdings, yet also include many of the most vulnerable families globally. Family farmers make up an estimated 70 percent of all food insecure households in rural areas of developing countries. “By providing adequate support to family farming we can combat food insecurity by reaching out to a group that is in itself vulnerable, and by increasing food supply where we need it the most,” Graziano da Silva said. He added that linking productive support to social protection would help to jumpstart local and inclusive sustainable development. Graziano da Silva lauded Morocco’s government for its Plan Maroc Vert, or Green Morocco Plan, for agricultural development, which he said recognized the distinct needs of both small-scale farmers and larger family farms. He also credited Morocco with reducing undernourishment among its population to under 5 percent, in keeping with specific targets set by UN Millennium Development Goal 1 to reduce hunger and poverty by the year 2015. “We cannot underestimate the importance that agriculture and small-scale production have in creating jobs and generating income,” said the Director-General. This would be crucial in Africa, he said, where half the population is under 25. 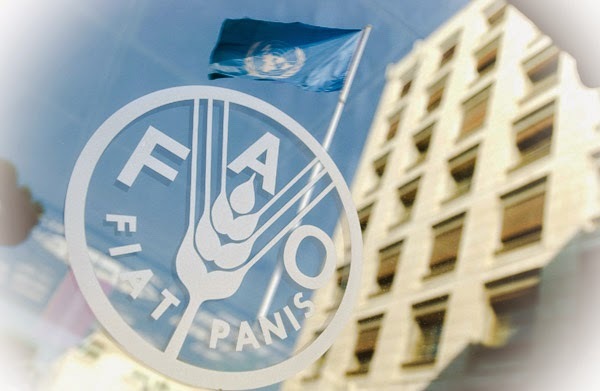 The Director-General and the Moroccan Ministers of Agriculture and Marine Fisheries and of the Economy and Finance signed an agreement to support food security projects elsewhere in Africa through the FAO South-South Cooperation (SSC) programme. The innovative agreement is the first under FAO’s SSC initiative to combine government and private sector funds in this way.